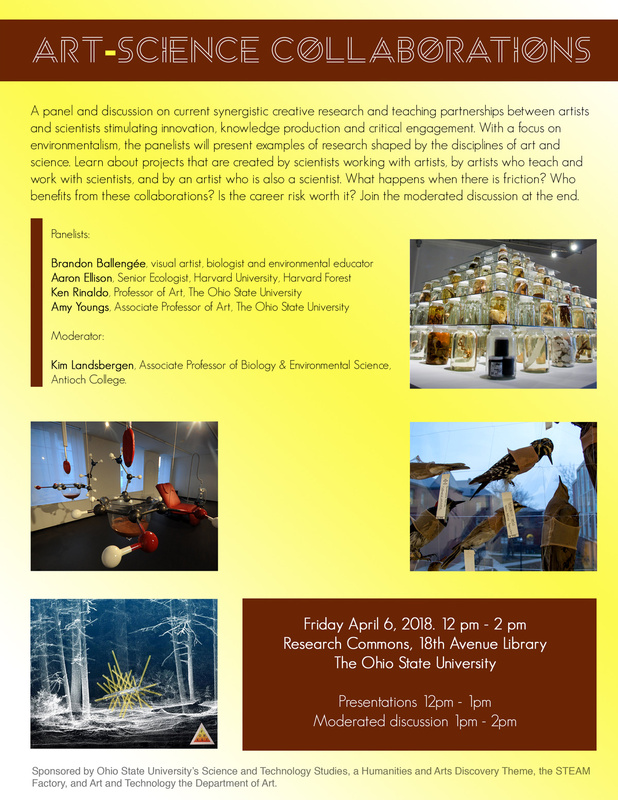 A panel and discussion on current synergistic creative research and teaching partnerships between artists and scientists stimulating innovation, knowledge production and critical engagement. With a focus on environmentalism, the panelists will present examples of research shaped by the disciplines of art and science. 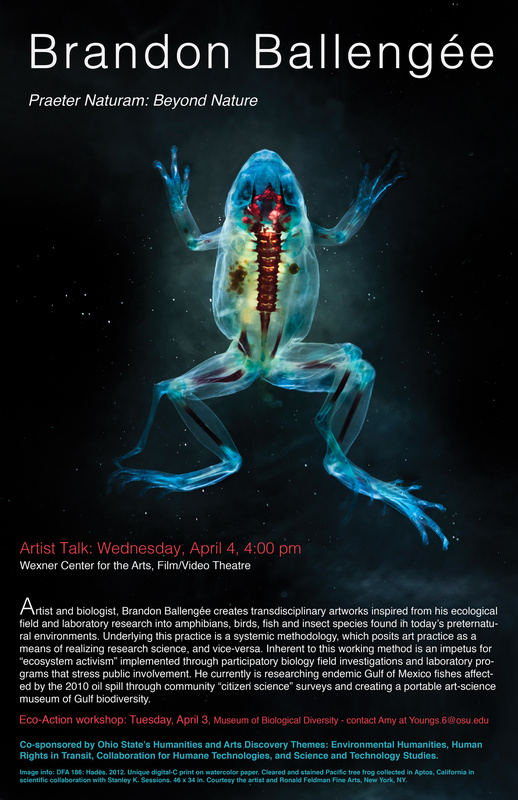 Learn about projects that are created by scientists working with artists, by artists who teach and work with scientists, and by an artist who is also a scientist. What happens when there is friction? Who benefits from these collaborations? Is the career risk worth it? Join the moderated discussion at the end. Co-sponsored by the Ohio State University’s Science and Technology Studies – a Humanities and Arts Discovery Theme, the STEAM Factory and Art and Technology in the Department of Art. Globally marine fisheries are suffering from species decline with many populations verging on collapse. Choosing locally sourced sustainable seafood is a key to marine conservation, yet few of us know which species are ecologically safe to eat. Join artist/ biologist Brandon Ballengée on a seafood market survey of fishes, mollusks, arthropods and other species. Ballengée will discuss encountered species natural history, ecological status and collectively we will choose specimens for a dissection and preservation workshop following the tour. When back at the lab participants will learn how to dissect and preserve specimens at a Natural History Museum standard. Bring a sketchbook and some money to purchase a fresh specimen at the market.